The Government is to provide €3.5bn each to Allied Irish Bank and Bank of Ireland as part of its recapitalisation scheme. 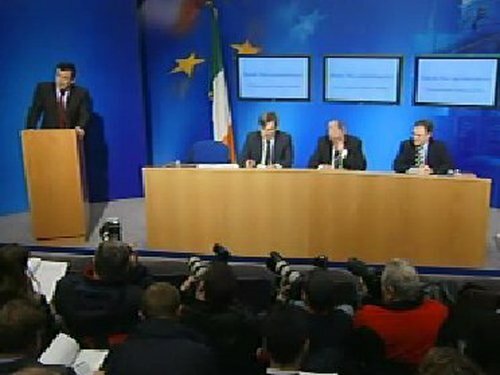 Minister for Finance Brian Lenihan announced the terms to be offered to AIB and Bank of Ireland. Mr Lenihan said that the recapitalisation would reinforce stability of the Irish financial system. He said it would increase confidence in the banking system and facilitate lending. The plan will allow the Minister to appoint 25% of the directors at each bank. However, a statement from the Department of Finance clarifies that the State does not propose to take control of the banks being recapitalised. The two banks have agreed to provide a 30% increase in mortgages for first time buyers and a 10% increase in loans to small and medium businesses. They have also agreed to hold-off on repossessions on mortgage holders for 12 months after they fall into arrears. Senior executives in the banks are to face a one-third cut in their remuneration. No performance bonuses are to be paid to them, and their salaries are to be frozen. Non-executive directors will have their fees cut by one-quarter. Fine Gael's Richard Bruton has said the recapitalisation plan is a '€7bn gamble on the wrong horse'. He said there was no evidence a similar approach had worked in any other country and he feared the Government would have to revisit the issue. Labour's Spokesperson on Finance Joan Burton said the Government's plan represents a 'missed opportunity to deliver the comprehensive reform of the banking system'. She said tha on virtually all the crucial issues it appears that the banks have been allowed to dictate the terms. Bank of Ireland has welcomed the capital investment package. In a statement the bank said the measures will enable the bank to 'play a full role in supporting our customers and aiding economic recovery'. The strengthened capital position 'provides the confidence that the bank has the resilience to withstand the impact of the deteriorating credit environment and to continue to support its customers through this economic downturn', the statement said. Chief Executive of AIB Eugene Sheehy said that he regrets some of the lending decisions that his bank made in recent years and that the bank could have made better decisions. He said that the bank had engaged in detailed discussions with the Government throughout recent weeks in relation to the bank recapitalisation plans and how to deliver financial support to the economy in return for the capital injection of €3.5bn. He said that the plans that have been worked out are very detailed, specific and transparent in terms of how performance will be measured on a quarterly basis. Mr Sheehy said that AIB was very grateful to the Government for the support, which he said was critical at this time. IBEC Director General Turlough O'Sullivan said: 'the move will have a positive impact on the ability of businesses to acquire finance and maintain ongoing business activity. 'The Government must now divert some of the resources away from the National Development Plan to help firms under pressure, so that the haemorrhage of job losses can be stemmed. 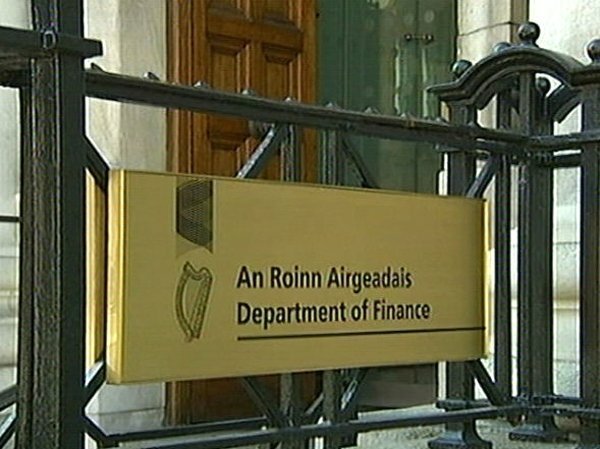 The Irish Banking Federation also welcomed the Government's actions. IBF said that the recapitalisation will 'underpin the wider economy' and provide confidence to the markets and promote Ireland's standing internationally. Earlier today the plan was discussed at a meeting of the Cabinet. The Taoiseach and Finance Minister met the Fine Gael leadership last night to discuss the proposals. Enda Kenny and Richard Bruton had over an hour of talks with Brian Cowen and Mr Lenihan ahead of today's expected announcement. The sides effectively agreed to disagree and the subject dominated Leaders' Questions in the Dáil this morning. Fine Gael wants to transfer toxic debts to an institution that has been dubbed a 'bad bank'; those debts would then be wound down.